Cloud computing solutions have had major effects on small- and medium-sized businesses around the world. For many, the hardest aspect of utilizing cloud services to their full potential comes down to the deployment and implementation process. 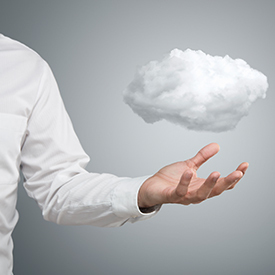 However, once the cloud is properly implemented, SMBs enjoy reduced IT complexities and more cost-efficient solutions. According to a report published earlier this year, approximately 69 percent of SMBs with fewer than 20 employees had already deployed some type of cloud-based solution. While that number is expected to rise sharply, widespread interest generated by SMBs has stirred the market and garnered the attention of managed service providers, with many expecting cloud solutions spending to increase significantly by 2017. SMBs gain advantages from cloud computing in various ways, and a recent DailyTech blog by Michael Hatamoto noted three particularly auspicious benefits. As managed service providers begin to sell cloud software and solutions in the coming years, SMBs will be presented with a wealth of options in a market that seemingly has a bright future. While U.S. companies have noticed these benefits and continue to take the appropriate steps toward deployment, other countries around the globe are beginning to rely on cloud computing for innovation and growth. According to a recent The Hindu article, India, which has the largest number of SMBs in the world at 48 million, could increase revenues to $56 billion and create 1.1 million jobs. Cloud computing in India is creating major changes to how IT solutions are rendered, and SMBs will be the main factor behind continued market growth that is expected to reach $4.5 billion by 2015. Just as in India, cloud computing services are upending traditional IT technology and providing an opportunity for business innovation and growth in the U.S. Additionally, managed service providers continue to present an appealing option to companies with limited resources and IT expertise. Will Windows 8's Security Suite Kill the Anti-Virus Industry?